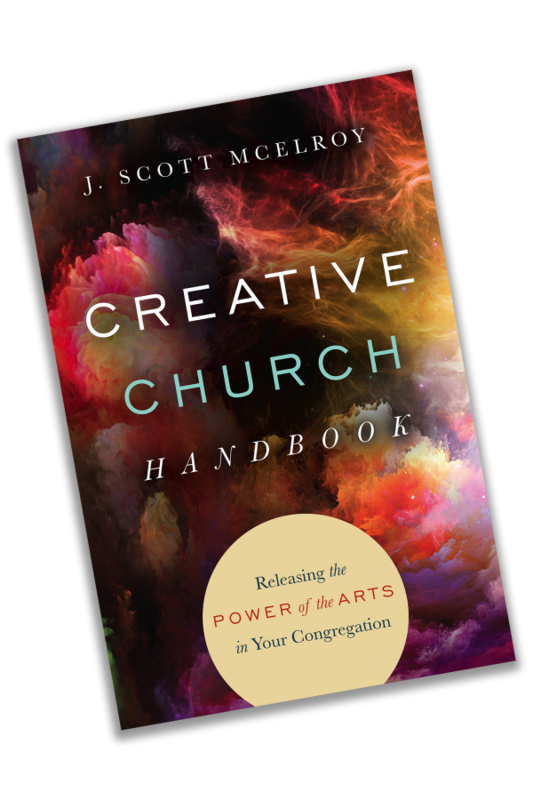 I’m excited to announce that my friend and colleague, J. Scott McElroy, has released a new book titled, “The Creative Church Handbook: Releasing the Power of the Arts in Your Congregation” (InterVarsity Press). I’m pretty serious when I say that this is a must-have for anyone who is a leader of artists of faith in the local church today. The book itself is quite ambitious and also quite comprehensive. Building on the last forty years of faith and arts thought and practice, it attempts to cover—in both practical and philosophical ways—how the arts can be envisioned, launched, structured, and applied in today’s local church context. Visual arts, media, film, dance, sacred space, artists-in-residence, and other issues are tackled in a pragmatic manner, and there are actually a lot of photos for us visually inspired people too. If you are an artist of faith, there will definitely be something in this book for you. I’m also blessed that Scott asked me to write a short contribution regarding a concise theology of the arts which concludes the third chapter of this book titled, “Envisioning the Arts and Creativity in Your Church.” And I’m excited that a number of extremely talented and passionate artists of faith I know are also mentioned in the book as well. When my book, Imagine That, came out five years ago, there were only a handful of current books which spoke to the area of faith in the arts. Since that time, dozens of books have been published in this area. In my estimation, The Creative Church Handbook is one of those essential books that should be on your shelf. Bookmarked, dog-eared, highlighted, and with comments in all the margins. Go get it now. Posted in art, church, drama, faith, movies, music, Poetry, worship, WritingTagged art, faith, worshipBookmark the permalink.